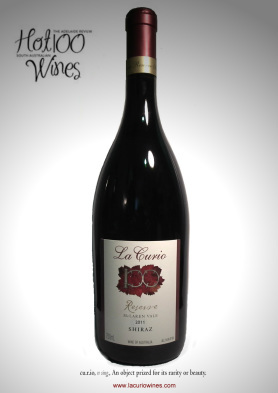 Over the years, La Curio has received many awards and stellar reviews of their wines from people and organisations such as Winestate, James Halliday, Qantas, Decanter and many more. 2012 Reserve Shiraz 95 Halliday points. 2012 Reserve Grenache 93 Halliday points. 2012 Dandy Shiraz 93 Halliday points. Highly Commended - Sydney International Wine Show. 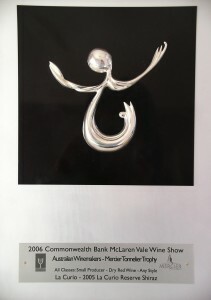 Blue Gold Award - Sydney International Wine Show. Trophy McLaren Vale - Gold "Best Small Producer"